And just like that folks, August is behind us! Sweet summer memories are fresh in our mind and for some the excitement of back to school. Saving money is a full-time job to me. I make it a high priority to get the best possible deal on pretty much everything we buy. With that said, there is a BIG difference between being frugal and being cheap. Being cheap will lead you to spending more money when it comes to certain things. For instance, if you buy a vacuum that is $50 expect to be buying another vacuum in a few months. Buying quality doesn’t have to break your bank if you are a savvy shopper, watch the sale cycles, and know when the best time to buy is! To put that in perspective, I sleep on a mattress that retails for over $3000. Did I pay $3000? HECK NO! That kind of money would whisk me and my better half away for a week vacation at our favourite resort in Cancun. We found our dream worthy mattress in the clearance section at The Brick in late January or early February. 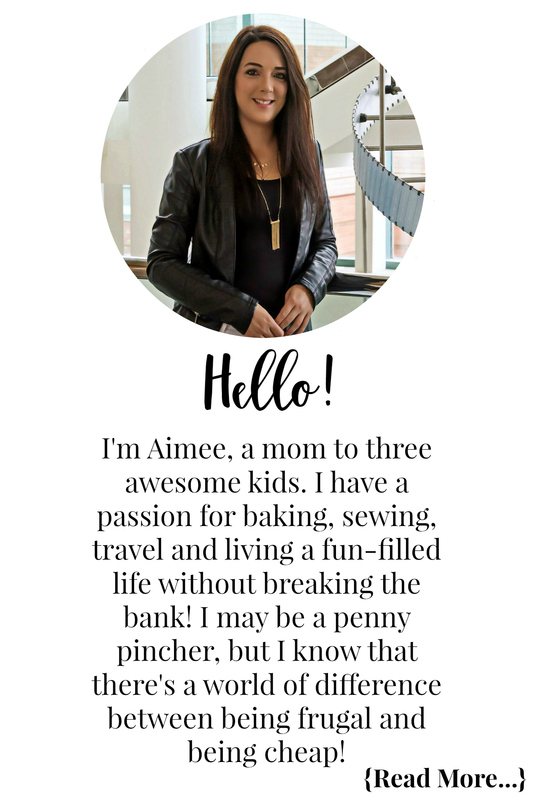 So I thought today I would begin a new series on Extreme Couponing Mom whereI will share with you my top things you should be buying in each month that will save you big bucks! Buying summer clearance can really rack up your savings as stores are looking to move any leftover stock and will offer discounts up to 90% off. This is the absolute best time to pick up new patio furniture, air conditioners, fans, lawn mowers, pool supplies, garden tools and even bug sprays and sunscreens as they generally have a good 2+ year shelf life. Summer apparel and accessories are deeply discounted come the end of August and even more so in September. If you know what size your children and even yourself will be in next summer I highly suggest shopping those clearance racks. You can maximize your savings even further by shopping second-hand stores summer clearance as many stores like Once Upon A Child will often have $1 clearance on summer apparel. September marks the back to school season and massive sales on everything from pens to binders and more. There is no time like September to stock up on items like crayons, pencil crayons, markers and more. These items are great for loot bags and stocking stuffers too! So if you are in need of any office supplies check out those sale flyers for the best deals this month. Again with back to school, snack foods like granola bars, fruit snacks, juice boxes and more will be at their lowest sale price in a long time. I just recently saw a sale for the 10-pack of Minute Maid juice boxes for $1.67 which is an amazing price. Lots of these products have a pretty long shelf life so stocking up at these rock bottom prices will pay off in the long run as we have 10 months of school lunches to pack! Saving money on groceries is a big deal for me. I like to meal plan according to what is on sale as well as what is in season produce wise because this significantly reduces my bill at the grocery store. In September there is a long list of seasonal produce like; apples, cucumbers, pears, bell peppers, fall squash, tomatoes, zucchini and more. Building a meal plan around sales and seasonal produce can net you big savings at the checkout! The best time to buy a new barbecue is after Labour Day weekend. Labour Day weekend signifies the last weekend of barbecue season so many retailers will be discounting their in-stock barbecues in order to make room for fall and winter products. If you are like us, we barbecue all year-long. Last winter was pretty mild here and for the most part we didn’t get too much snow so we used our barbecue on a monthly basis. So if your barbecue is in need of replacement now is the time to buy! Summer is drawing to an end and that means the season of riding bikes is almost over. Most retailers will be discounting their 2016 stock as they know sales will slow down. This is the best time to buy bicycles that you can tuck away for Christmas or Easter gifts. New models will begin to arrive in stores starting in September so if you are in need of new appliances it is a great time to buy last years models. The next best time to buy appliances is around Black Friday but the deals in September have been known to be better. Like appliances, 2017 car models will start to roll in to your local dealerships so they will begin to clear out older models. The best time in September for savings on a car is near the end of September. The best time to purchase airfare is normally around 8 weeks before your travel date. This means for anyone planning to travel during the holidays you should start to shop around for the best deal on airfare now. I have my eyes on a winter getaway and am keeping close watch on the packages for the resort we go to so I can snag the best deal. 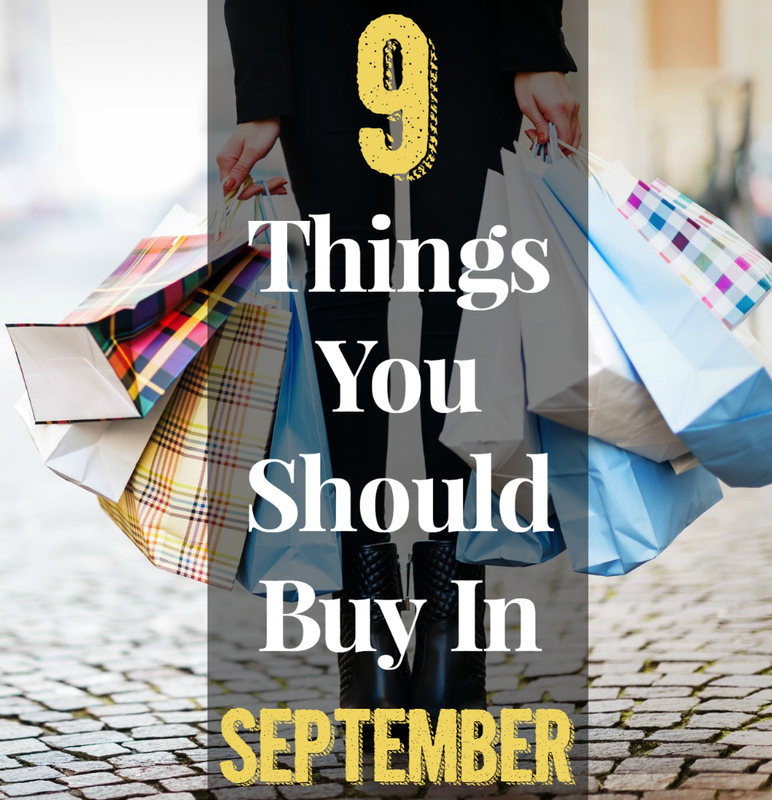 What will you be shopping for this September to save money? I’m always checking the clearance racks when I go shopping, sometimes they will mark down the item a few times if it’s not selling!